I recently spent the better part of a week at Walt Disney World with my three-year old son and I heard the above quote at least 10,372 times. 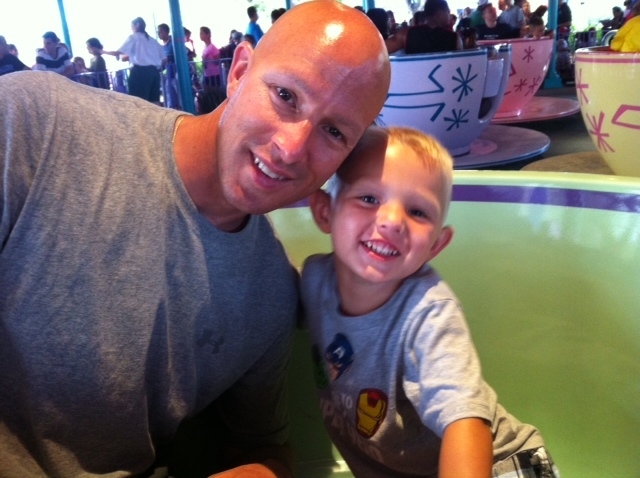 My wife had the honor of speaking at convention for medical information system users at Disney World and while she spent her time in meetings I spent my time in the parks with our son. One of my favorite health care books is “If Disney Ran your Hospital: 9 1/2 things you would do differently.” by Fred Lee. If you’ve never read the book and you work in health care I strongly recommend it. The book reads easy and it’s entertaining and the main theme is patient engagement. I do believe some of the “do anything for the customer” mindset that helped Disney create a reputation for great customer service is a thing of the past but all in all the staff we encountered were nice and mostly helpful. Let me tell you what a hospital would be like if Disney ran it under their current business model. There would be LONG lines in admitting. We waited in several long lines and skipped several others because we, as in me the supervisor of a three-year old, didn’t want to wait 45 minutes for a 90 second ride. If Disney ran your hospital every patient being discharged would be taken through the gift shop before being escorted to the front door. Most rides at Disney exit through a gift shop themed after the ride. The Buzz Lightyear rides exits into a gift shop full of things coveted by a three-year old and the Pirates of the Caribbean ride exits into a gift shop full of plastic swords, plastic pirate pistols and plastic knives. I’m happy to inform you that a plastic pistol in a suitcase does not cause a TSA agent to look twice at a bag – actually I don’t know if this is a good or bad thing. Disney is the master of marketing. If Disney ran a hospital we would “pump” the smell of chocolate cookies and popcorn throughout our hallways so that every three-year old within a five-mile radius is worked into a frenzy. If Disney ran a hospital we would also have “character” greetings and make the characters so difficult to find that the only way you can get a picture with one is to pay extra and attend a character dining experience. Maybe the hospital should have a person dressed as a doctor in the cafeteria and instead of scheduling an appoint with the doctor’s office just require that you pay a little more for the meal. If Disney ran a hospital every restroom would have one regular size toilet and sink and one “kid sized” toilet and sink. We saw Mickey, Minni, Goofy, Handy Manny, Peter Pan and Lightning McQueen but my son was most impressed with the tiny toilets. Don’t get me wrong, my memories of the trip will last much longer than my son’s and I’m glad we were able to share the experience. I’m also glad that I have a job to come back to because if you think hospital bills are high you should spend a week at Disney!!! 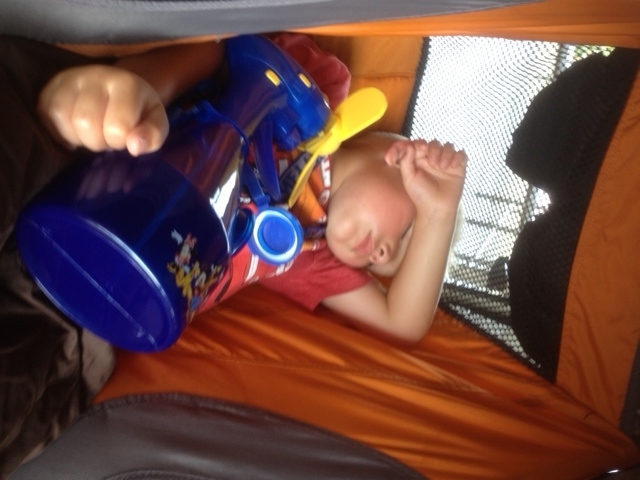 Here’s a picture of my son after I slipped him a “Mickey” and he fell asleep in the stroller. 3 Responses to It all started with a mouse. Were you not aware of the fast passes at Disney, so that you don’t have to wait in line? When it’s your time to ride, you just walk right past everyone and get right on,that is sweet!!! Maybe they have done away with them idk….It’s been six years since we’ve been. Fast passes are available for the “popular” rides. The problem is, a three year old isn’t tall enough for or interested in “popular” rides.